Cherries are one variety of nutrient-rich, red and blue berries. The health benefits of cherries are most pleasantly obtained when eating the whole fruit, which also provides fluid and fiber. Supplementation with cherry fruit extract, however, may provide a viable alternative when the fruit is not available. According to WholeHealthMD.com, the antioxidant flavonoids found in cherries and cherry fruit extract can reduce inflammation, help destroy free radicals, reduce pain and relieve allergies, among other benefits. As with any food, there is the potential for allergic reaction to cherry extract in people who are sensitive to cherries. Foodallergens.info explains that there are two main types of allergy reactions to cherry, with the occurrence of each prevalent in a distinct geographic area: A localized oral reaction is prevalent among Northern Europeans, whereas more severe systemic symptoms generally affect those from Mediterranean regions. It is a good idea to avoid cherry extract if you have an allergy to whole cherry fruit or other stone fruits. When taking a nutritional supplement, cherry extract included, questions arise as to the safety of the final purchased product even where scientific research has established the inherent health benefit of a given substance. The nutritional supplement industry is largely unregulated, in contrast to pharmaceutical products and food, both of which are government-regulated. While legislative debate continues over the need to regulate nutritional supplements, include your doctor in your choice of cherry extract products and other nutritional supplements. 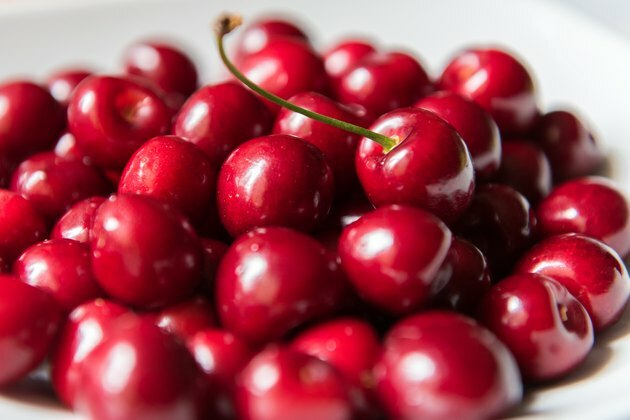 The "National Center for Biotechnology Information" reports that sour cherries possess high levels of anthocyanins, flavonoids that are reported to inhibit the growth of cancer cells and to provide a chemotherapeutic affect in certain diseases. These potential benefits, along with the reported anti-inflammatory properties of anthocyanins, suggest that taking cherry extract can enhance health. It is important to discuss all nutritional and herbal supplements with your doctor before taking them. What Are the Benefits of Strawberry Tea?